Industry experts are predicting very little change in the box office as Fox Searchlight offers “Jackie” in limited release. The biopic, starring Natalie Portman, is being released in only five theaters this weekend but will be opening wider on the next Friday. With “Jackie” being the only new release of note and opening in such a small circumstance, the box office will be unaffected as Disney’s “Moana” is expected to remain at the top and “Fantastic Beasts and Where to Find Them” will keep its second place standing. “Jackie” takes place during the days immediately following John F. Kennedy’s assassination as his widow, Jackie Kennedy, struggles to maintain her husband’s legacy and the world of “Camelot” they created and loved. 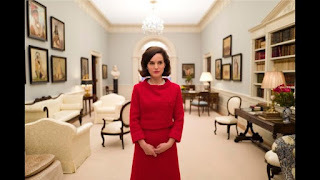 Natalie Portman paints a deep and intimate picture of former first lady, Jacqueline Bouvier Kennedy, as she tries to regain some control of her life just days after the tragic events in Texas in November 1963, where her husband was shot and killed as his motorcade drove past the book depository in downtown Dallas. Portman reaches into the heart of the character and extracts a beautifully woven yet emotionally charged performance. Kennedy knows all too well she must act before the tides of time wipe significance of her husband’s presidency away. In that decision, we find the strength of Jackie’s character as she tells her story. 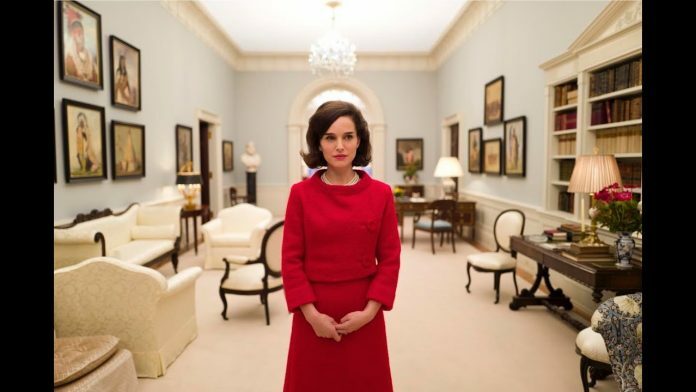 Portman is is exquisite in capturing the essence of Jackie, her walk, her vocal inflections and her spirit. This is truly an Oscar-worthy performance. “Jackie” gets an A and is rated R.
For our exclusive interview with Natalie Portman click here.